The early segments of “The Advocate: A Missing Body” are spent introducing all the typical characters needed to put together a typical criminal law drama. Lee Sun-kyun (acclaimed for “A Hard Day”) plays Byeon Ho-seong, an unscrupulous top lawyer with an incredible 100 percent win rate. Kim Go-eun (most recently in “Memories of the Sword”) is a spunky cub prosecutor named Jin Seon-min who believes justice will always prevail. Jang Hyun-sung becomes the untouchable giant Moon Ji-hoon leading a pharmaceutical company, while Choi Jae-woong plays Kim Jeong-hwan, a mysterious murder suspect. The plot also unfolds soullessly as expected of these characters. All-star lawyer Byeon is hired by the powerful Moon to defend his driver, Kim Jeong-hwan, in a high-profile murder case. He finds out that his opponent will be third-year prosecutor Jin, and has no doubt that he has the case in the bag. Byeon is sure that Kim is guilty, but he has one major advantage -- there is no body. The case, a nuisance for the busy Byeon, seems to be practically over when his client suddenly stands up at trial and tells the world that he is guilty. Now, it’s Byeon’s reputation on the line as he is suspected of tampering with evidence to create false proof of innocence. This is where the movie, which had been predictable and bordered on soporific, suddenly starts its engines. Byeon is furious and determined to do whatever it takes to find out what happened with his case. Lee Sun-kyun puts on a spectacular one-man show as he yells, kicks and bashes everything and everyone while running down leads, and he is absolutely convincing as a man driven by rage and frustration. Byeon is violent, but he is also highly intelligent -- leading to some entertaining scenes where he cleverly dodges those who are trying to stop him from getting to the truth. The action is punctuated by several plot twists that serve as breathers before Byeon takes off again. The twists are smart and unexpected, but some of them are delivered rather ineffectively by supporting roles who sacrifice clarity and speed in an attempt to maintain a mysterious aura. In fact, Lee Sun-kyun’s Byeon Ho-seong is the only character who gives a straight answer to any question the audience might have throughout the film. Even when a plot development happens to another character, the viewer instinctively waits to see how Byeon responds before reacting themselves. Indeed, although the storyline redeems its purpose as an entertainment film through the action-packed second half, there is no escaping the fact that “The Advocate: A Missing Body” is severely lacking in human personality or inter-character chemistry. But he does not connect with the other characters on any level. 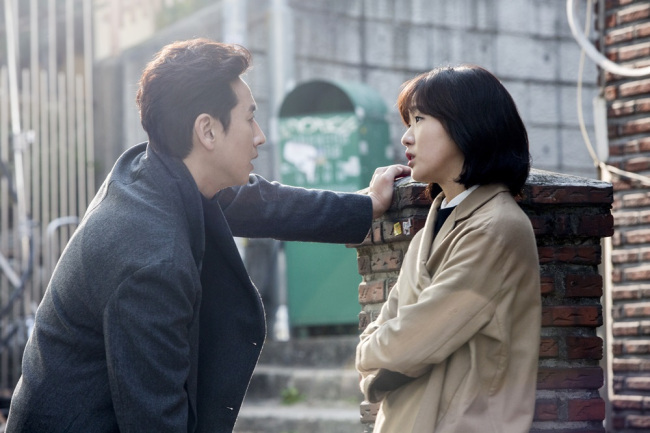 Kim Go-eun hovers vaguely with a hint of flirtation that doesn’t really go anywhere; Lim Won-hee fulfills his role as comic relief but falls short of actually seeming like Lee’s partner; Jang Hyun-sung is deliciously evil but he and Lee don’t seem to hate each other so much as being irritated by each other. The twists are excellent and action scenes well crafted, but the lack of soul is what pushes “The Advocate: A Missing Body” a tier lower than this year’s runaway hit “Veteran.” Still, for movie goers who are just looking to have a good time and engross themselves in a film that will keep them guessing until the end, it sure is an entertaining ride. “The Advocate: A Missing Body” opened in local theaters on Thursday.